InstantStorm is a free product, however—if you'd like to show your appreciation for our work and support the project's development and web hosting costs, making a donation is a great way to do that. A donation can be made using a PayPal account or a credit card (through PayPal's interface). Your name will appear in the list of donors on this website as well as in InstantStorm's about box (in the next updated release). 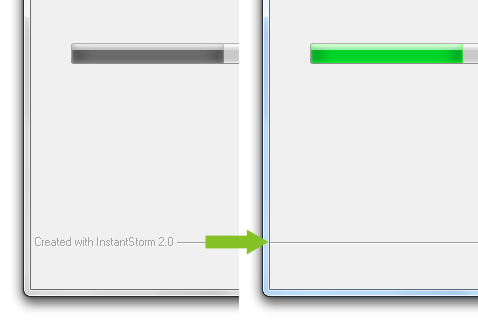 Also, you'll receive a special license to use a modification that removes the "Created with InstantStorm" label from your screensavers' settings dialog and installation progress screen.